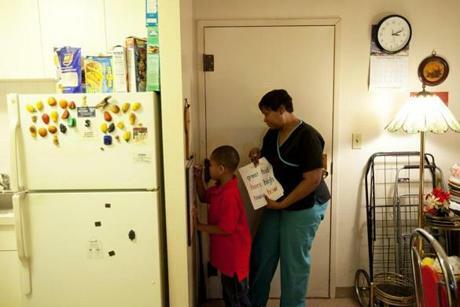 Angela Mayes taught her son Adrian Mayes-Weddington , 5, cursive handwriting,at her mother's home in Boston. 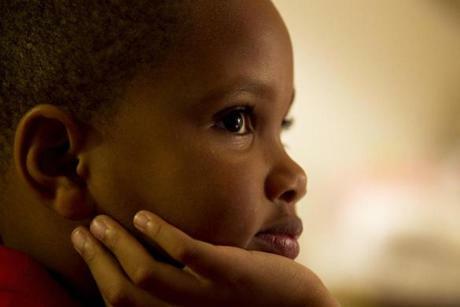 Mayes moved to Boston from North Carolina to take care of her mother and found that her son was not registered in a school after she thought she had pre-registered him. Adrian Mayes-Weddington, 5, listened to his mother, Angela. Angela Mayes tested her son Adrian Mayes-Weddington, 5, on spelling. 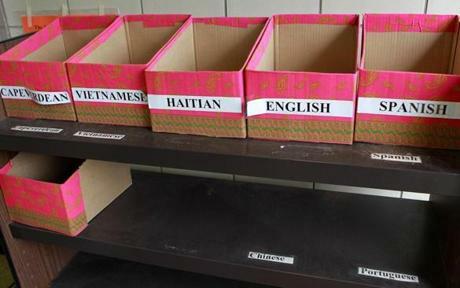 Information for school was provided in several languages at the Boston Public School East Zone Family Resource Center on Dorchester Avenue. 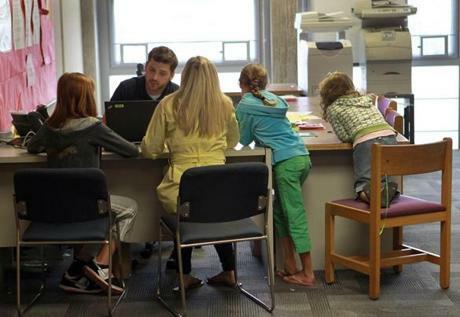 Keith Hellmold, assistant director at the center, helped a family with their questions. Students waited at the family resource center. 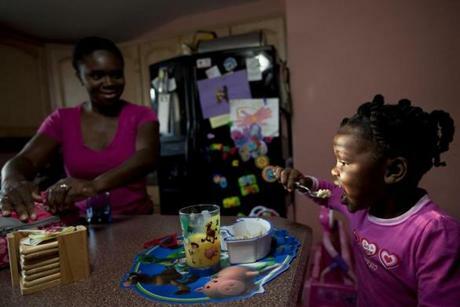 Olayemi Phillips packed a lunch for her daughter, Nia, before Nia’s first day of school. Nia is attending James J. Chittick Elementary School, despite the school not being one of her family’s top six choices. 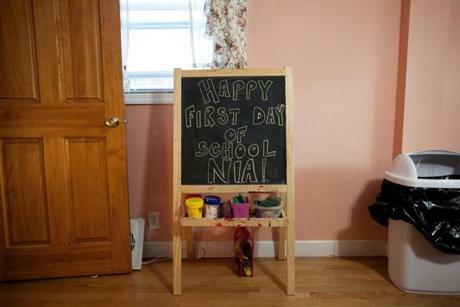 A message wishing Nia a happy first day of school was written on a chalkboard in the kitchen of the Phillips family. Olayemi admired her daughter's school uniform. 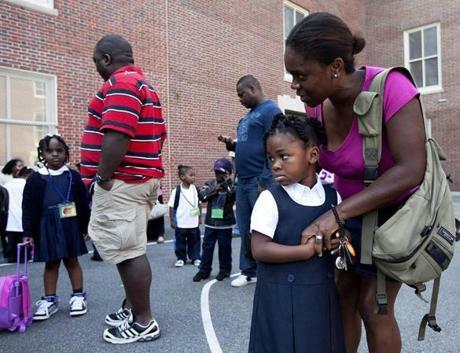 Olayemi talked to Nia before Nia’s first day of school at James J. Chittick Elementary School in Mattapan on Sept. 12. 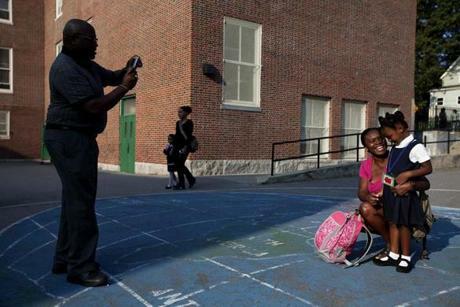 Olayemi got her daughter to smile for her husband, Charles, in the schoolyard. Nia sat in class on her first day of school.